A three-nation tour of Europe is the latest diplomatic endeavour among the plethora of international engagements led by Prime Minister Narendra Modi. 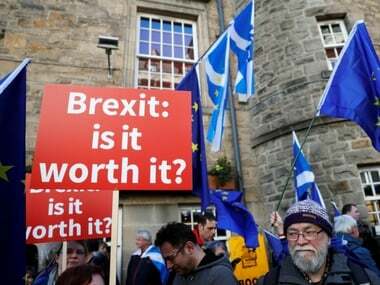 Modi’s first post-Brexit visit to the United Kingdom came after his visit to Sweden, which made him the first prime minister in 30 years to visit a Nordic country. Apart from the bilateral engagements, the first India-Nordic Summit in Stockholm gave India an opportunity to deepen relations with Nordic nations and open new arenas of co-operation. After a hectic visit to the two nations, Modi’s stopover in Berlin presented a glimpse into many of the undercurrents in India’s transformed presence in the international community. First of all, that an Indian prime minister would make a quick stopover in one of the leading nations of the world and be welcomed with open arms showed the rising profile of India. Apart from showing the strong friendship between the two nations, this quick stopover was also a testimony to Modi’s innovative outreach style in foreign policy. Germany is a leading economic power not only in Europe, but also in the world. 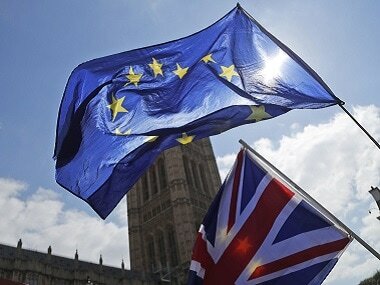 Its position as the foremost nation in the European Union is a known fact. The critical role Germany and its Chancellor Angela Merkel have played in keeping the EU together as a potent global force cannot be emphasised enough. The Modi-Merkel phase of India-Germany relations is perhaps the best in the shared history of these two nations. 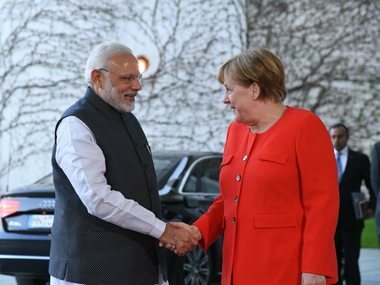 The Modi-Merkel chapter took off when India was invited to be the partner nation at the Hannover Messe 2015, the world’s largest industrial fair. The economic engagement between the two nations grew on the plank of Modi making an appeal for Germans to Make in India. Germany is also India’s largest trade partner in the European Union. Since then, the heads of both India and Germany have made it a point to enhance strategic and economic ties by meeting on a regular basis. In 2015, Chancellor Merkel held bilateral talks during her visit to India. She had said,: "India needs jobs, Germany needs people and collaboration is crucial to meet the demographic needs of both countries”. Her visit was followed by a number of inter-ministerial meetings in 2016. In the year 2017, Prime Minister Modi visited Germany twice, first on a state visit and later to attend the G20 Summit. In the meanwhile, the two leaders have been meeting at various international forums. Prime Minister Modi’s latest stopover in the German capital indicates strengthening of trust between the leaders of the two states. Both Modi and Merkel are known to steer their countries well in direction of assuming leadership in the continents they represent. India, especially, has been instrumental in taking the lead in bringing nations together to counter pressing issues. In his public dialogue in London, called “Bharat ki Baat, Sabke Saath”, Modi had said, “I will go to Israel and I will even go to Palestine. I will further cooperation with Saudi Arabia and for the energy needs of India, I will also engage with Iran.” Prime Minister’s visit to the United Kingdom and his stopover in Germany, affirms the Modi doctrine’s principled stand to keep Indian interests first and foremost. 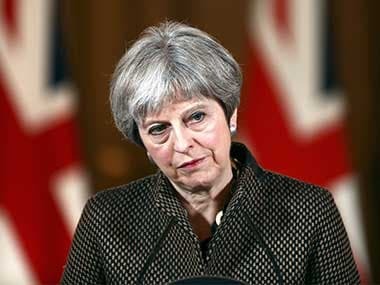 While the EU is disintegrating with Britain’s exit, the Indian prime minister is determined to engage with both EU and UK. A well thought-out approach to put India first has saved India from indulging in global politicking and instead allowed it to focus on broader issues at hand that require nations to work closely together. 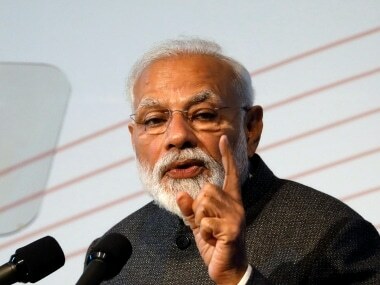 As a result, India under Narendra Modi is emerging as a force to be reckoned with, that works with multiple nations with global interests at heart, but aligned with India’s own interests. The Modi government has been masterful in aligning the world’s interests with India’s, to reach a consensus for better co-operation and co-ordination on matters that impact one and all. Be it in the sphere of climate change, terrorism or black money, the Modi doctrine has been resolute in bettering ties with the world, unhindered by historical rivalries or internal exigencies and the world is now increasingly looking to India for leadership. The writer is Director of Dr Syama Prasad Mookerjee Research Foundation, columnist & author.